Hanukkah is in the air at Gross Schechter! Decorations are beginning to appear throughout the school, students are practicing for their performances, and we are anticipating the lighting of the first candle. As we continue to move into the heart of winter, please remember to make sure children are dressed appropriately for the cold weather. We do like to go outside for recess and enjoy sledding and playing in the snow. Speaking of winter weather, if there is a need to cancel school you will be notified using our One Call Now automated call system. We will send a phone call and a text message and it will also be posted on the local television stations. If you haven’t signed up for the text notification system by giving us a cell number please contact Sue Foley in the main office as soon as possible. Report cards will be posted Monday, December 3. 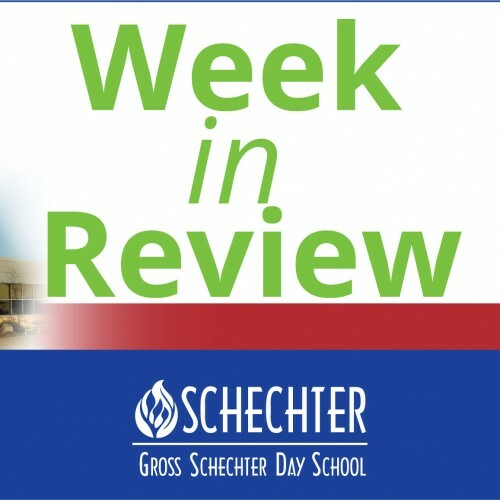 You can access your child’s grades on a regular basis and their report card by logging into our Parent Portal found the school’s website www.grossschechter.org. Just click on the Parent Tab and then click on the Parent Portal link. Login using your login name and password you use to for re-enrollment. 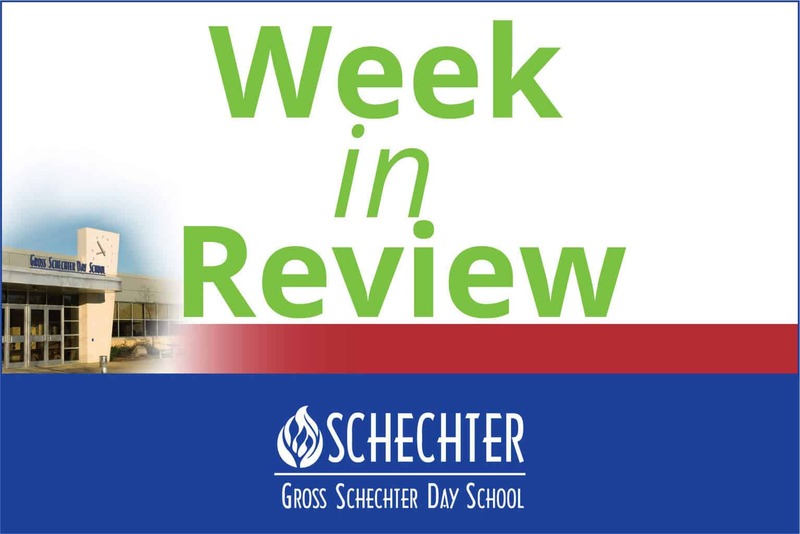 If you do not remember your login and password contact Sue Foley by calling the main office or sending an email to sfoley@grossschechter.org. These project-based electives offer our students a wonderful opportunity to show off their creative side. Special recognition goes out to Arthur Stadlin for proposing the idea of a school newspaper and thanks to our staff for their willingness to moderate and lead these activities. I am pleased to announce that our own Jesse Ebner, Middle School Social Studies teacher, has been selected by the Jewish Education Center as the recipient of the Steiger Family Education Grant. The Steiger Family Education Grant is a $2,500 grant that can be used towards tuition and travel expenses to partake in a learning opportunity within a Jewish context. The award will be officially presented at the Jewish Education Center of Cleveland’s 25th Annual Meeting on Sunday, February 24, 2019 at 5:30pm. This year the meeting will be held at the Mandel JCC. This is a great honor for Jesse as well as Gross Schechter. Mazal Tov Jesse! Have a wonderful weekend…Shabbat Shalom, Happy Hanukkah. There are so many customs, traditions and mitzvot in Jewish life that we tend to sort them into groups. Among the most familiar ways of doing so is into two broad categories: mitzvot that connect us to God, and mitzvot that govern our relationships with other people. It seems like a natural distinction to make: for example, prayer connects us to God, and tzedakah connects us to other people. But this distinction can lead to trouble when it leads us to focus too much on one or the other. We can become pious towards God, but callous with other people—or we can abandon the Jewish practices that add holiness to our lives and connect us to God, and focus only on treating others well. Either way, we are enriching one part of our life while neglecting another. Joseph teaches us to mind both sides of the equation. In this week’s parashah, Potiphar’s wife tries to seduce Joseph, but he refuses. He is a slave, and she a master, but he stuck to his values. It’s notable that he gives her two reasons he is declining her offer: (1) he can’t betray Potiphar, who has treated him so well, and (2) doing such a terrible thing would betray God. We understand why he mentions his reluctance to betray Potiphar. But why mention his loyalty to God? Perhaps he thought that if he just offered the first reason, she might have replied that “What my husband doesn’t know can’t hurt him.” But I think Joseph was trying to express something larger: that both of those reasons were important to him. He found strength and goodness in his relationships to both God and human beings. And this can be a reminder to us too: the two categories of mitzvot—those that connect us to God, and those that connect us to people—unite to shape us as people of integrity. Can you think of other reasons why Joseph might have offered both reasons (he didn’t want to betray Potiphar, and he didn’t want to betray God) when he said “No” to Potiphar’s wife? If we focus on only one of these categories (interpersonal and human-God), what do we lose?